Raw, imperfect and unpolished, Sophie Hughes uncovers the hidden intriguing characteristics of raw material at its most natural form further manipulated for a deliberate, unrefined finish. 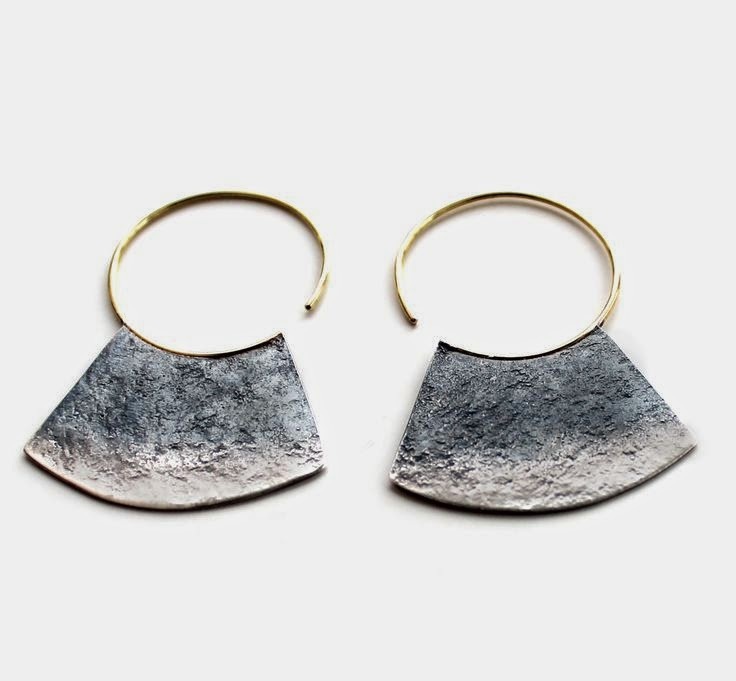 These oxidised sterling silver hoops are created using timeworn hammers, anvils, hand tools and torches, which all sounds rather masculine but the final outcome results in a strong feminine touch. Free from the gloss and superfluous, Sophie's designs cuts to the core of the generalised ideal of jewellery.